Jumping on the trampolin - boost your system! It is vital to keep this system circulating. The lymph channels are similar to veins and have one-way valves. These open when fluid is pressed forward by pressure from the outside. 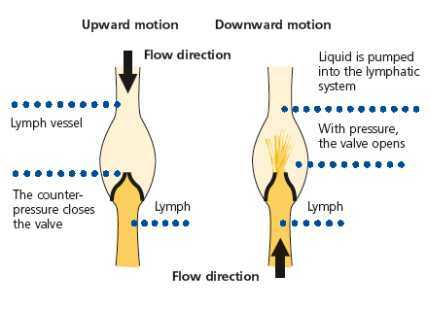 When the pressure subsides again and the fluid wants to flow back, the valves close. Even a light training on the trampoline of only a few minutes is a perfect stimulation of the lymphatic system. The constant change of weightlessness and gentle pressure on your entire vascular system is a perfect whole body lymph drainage. No other kind of training brings about such a comprehensive change of cell pressure with such little effort. Experiments have demonstrated impressively that the body is just as healthy as its circulatory system. This does not only include the cardiovascular, but above all the lymphatic system. Each cell of our body is practically bathing in a watery tissue fluid, also called lymph. Approx. 85% of the body fluid consists of lymph. Nutrients and oxygen contained in the blood are transported to the cells via this fluid. The lymph is also in charge of transporting metabolic waste products back to the blood stream. It is vital to keep this system circulating. Disruptions of the lymphatic drainage lead to local accumulations (lymphedema). Lymph drainage can be improved through external influences, such as Trimilin training. The lymph channels are similar to veins and have one-way valves. These open when fluid is pressed forward by pressure from the outside. When the pressure subsides again and the fluid wants to flow back, the valves close. However, there is just one problem: The system does not have a heart to ‘power’ it. The heart only propels the cardiovascular system. 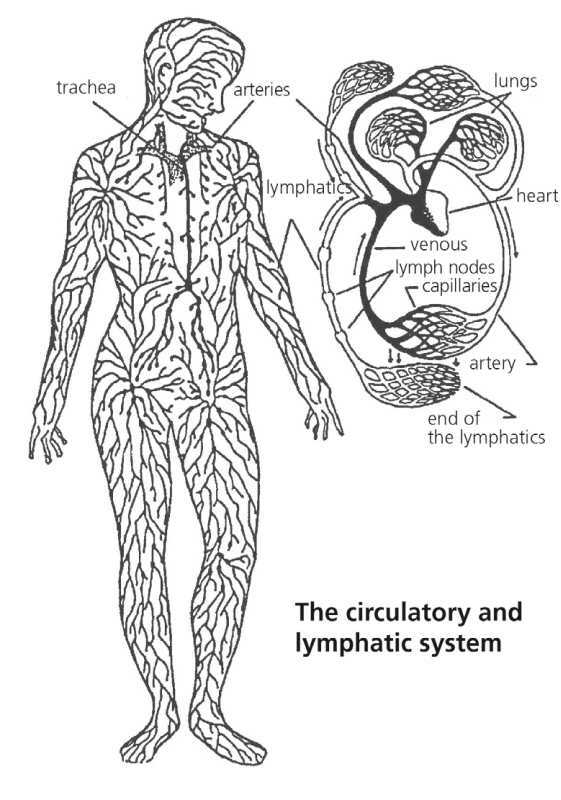 While the lymphatic system depends on external pressure to circulate, especially muscle contractions. At night it mainly is the breathing motion of the lungs which keeps the system moving. The heart alone cannot pump our blood through the whole body and back to the heart, but first of all through the arteries. After the blood has passed on its nutrients to cells and connective tissue, it is returned to the heart through external pressure on the veins, e.g. muscle movements. This is called the venous pump. With exercise, we can significantly support this motion and take stress off our heart. In a study, Prof. Dr. Herbert DeVries, University of California, assessed that older people experienced great improvement of chronic migraine, back pain, stiffness of the joints and muscle ache, too low or excess blood pressure as well as coronary and vascular problems with a training of 3×1 hour a week. Varicose veins also react positively to the activation of the vein pump! Do you want to strengthen your immune system? Do you want to expel bacteria and toxins as fast as possible from your body? Then you should exercise on the Trimilin trampoline throughout the day for a few minutes here and then. This significantly speeds up your cellular metabolism. 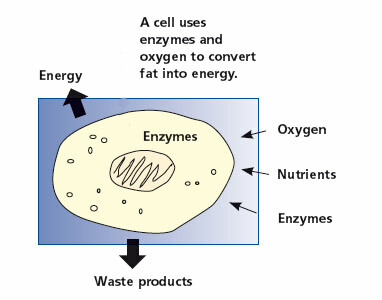 Waste products and toxins are pressed out of each cell. At the same time, you activate your circulation. The toxins can be removed and your cells are supplied with vital oxygen and nutrients. Resistance against terrestrial gravity, meaning against gravitation, is the source of our physical strength. It starts when we are babies. We grow, learn how to walk, run and jump. Each muscle in our body develops its power by working against the ever-present gravity. The stronger the gravitation, the more powerful the training effect for the entire body. Well, we cannot control gravity. But Albert Einstein taught us that gravitation has the same influence on us as acceleration and slowing down. So if the entire body is accelerated or slowed down, we experience a greater physical strain just like with increased gravitation. Resistance against this strain makes us stronger. Movement on the Trimilin trampoline produces this very training effect. Do you often feel tired and worn out during the day? Instead of coffee, why not try an invigorating oxygen shower for your brain and all other cells of your body. Take a 5-minute break on your Trimilin trampoline and enjoy the refreshing difference.